Custer started fifth, finished fifth and earned six bonus points. Custer noted tight-handling conditions at the beginning of Stage 1 and fell outside of the top-10. 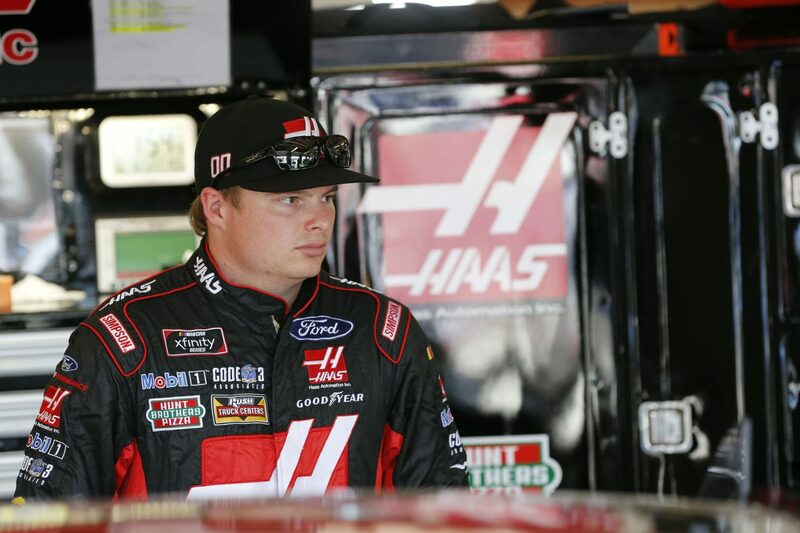 He piloted the Haas Automation Ford back to fifth place before the stage concluded. Custer pitted for four tires, fuel and adjustments. He gained two spots on pit road at the end of the stage. Custer started third, finished fourth and earned six bonus points. Custer battled in the third position for the majority of Stage 2. He raced hard for second place, but said his Haas Automation Ford needed adjustments to turn better in the center of the turns. He pitted for four tires, fuel and adjustments. He gained three spots on pit road to take the lead. Custer started first, finished fourth. Custer led the first six laps in the final stage. During a lap-199 caution, Custer pitted for four tires and fuel to regain the lead. A final caution was brought out on lap 232. Custer did not pit and restarted from the third position. He held the Haas Automation Ford inside the top-five before the checkered flag waved. This marks Custer’s second Xfinity Series top-10 at Iowa and 11thtop-10 of the season. This marks Custer’s second Xfinity Series top-five at Iowa and fifth top-five of the season. Custer earned 12bonus points in the Iowa 250. Custer led a total of six laps. Five cautions slowed the race for 31laps. Only 18of the 40drivers finished on the lead lap. No Monster Energy NASCAR Cup Series drivers were entered in the Iowa 250. Justin Allgaier won the Iowa 250 to score his seventh career Xfinity Series victory, second of the season and first at Iowa. His margin of victory over second-place Christopher Bell was .745 of a second. The next event on the NASCAR Xfinity Series schedule is the Overton’s 300 on Saturday, June 30 at Chicagoland Speedway in Joliet, I. The race starts at 3:30 p.m. EDT with live coverage provided by NBCSN.